We understand that handling backups and archiving is a pain, so we do the work for you. Every month, Accounting receives a notification that an archive report is ready for downloading onto your corporate network. With a simple click, Certify Receipt Backup provides your company with on-site storage of all expense reports and receipt images that pass through Certify. And you can see who downloaded the backup file and when, making it easy to confirm this step has been completed on a monthly basis. 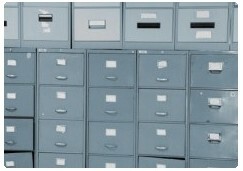 While these archives may be required for auditors, they can also help in future investigations. And while we never want to lose a client, we understand that change occurs. If that happens, we want you to have full access to your data, on your network. Tell your IT team you get the data every month. They will breathe a big sigh of relief and support you moving forward with Certify. Certify's monthly data archive download service allows your company to maintain permanent local storage of all expense reports and receipt images that passes through Certify. With data archive backups, CFOs can rest assured that all data required for financial audits is ready for inspection, even if your company is no longer using Certify for expense management. At the conclusion of each month, a new data archive file becomes available for download. This file contains formatted copies of all expense reports processed in the prior month, as well as all accompanying receipt image files. Complete with line item expense approval information, approver comments, and expense inquiries, the data archive file is a powerful tool for supporting the audit process. How long does Certify store archive data? Even though Certify allows you to download a copy of data archive backup files, all data continues to be available in Certify for reporting and historical reference. Unless your company requires archive data to be removed, Certify continues to store your data as long as you continue using Certify. You can begin using the Certify Receipt Backup service by requesting it from your Certify Account Manager. Enabling the service for your account is simple and you will be enabled to download historical data files as well as new files each month. Sleep easy, because Certify has your back.